School holidays is here which means relaxing and family time – and this doesn’t have to mean conflict over who has the remote. How do you make sure you AND your kids can enjoy some down time together? We all know that not everything on Netflix is appropriate for the whole family. Chilling Adventures of Sabrina may sound similar to the 90’s classic (Sabrina the Teenage Witch), however that MA 15+ says something a little different. But fear not! Here’s some shows that are suitable for everyone – available to stream on Netflix as of November 2018. If you’re someone who enjoys reading, it would be surprising if you haven’t heard of this series. Lemony Snicket’s thirteen-book children’s series has been adapted into a three-season show by Netflix, recounting the adventures of the Baudelaire orphans as they continuously escape the clutches of the villainous Count Olaf, always plotting to steal their fortune. Although the title of the show sounds bleak and dreary (and that the opening credits song literally tells you to ‘look away’) you don’t need to worry. With a star-studded cast featuring Neil Patrick-Harris (From How I Met Your Mother) as Count Olaf, the characters’ journeys are entertaining for everyone. Younger children are able to laugh at the jokes and root for the main children as they discover the secrets of their parents’ lives, while teens and adults can appreciate the subtle mysteries and hardships of the orphans (as well as some of the more mature jokes that’ll blow right over the kids’ heads). Having one of the highest budgets of all Netflix original shows and outstanding ratings, what’s not to love? The Announcement trailer for the upcoming season of ‘A Series of Unfortunate Events’. There are currently two seasons available right now for your children to binge, and the third and final season will be available on January 1st. The perfect way to spend your summer holidays can now involve experiencing the finale of the Baudelaires’ adventures. This recently released cartoon is sure to capture your child’s attention with its characters and adorable animation style. Based on a comic book of the same name from 2010, Hilda explores the journey of a girl named Hilda (big surprise, we know) who lives in a modern society infused with elements of fantasy. She comes across these elements quite often on her adventures, usually in the form of mythical and fantastical creatures such as trolls, giants, elves and many more, including completely original species’. After having to move from her home in the Wilderness to the seemingly boring town of Trolberg, Hilda discovers there are many new secrets awaiting her in this yet-to-be explored cityscape. If nothing else, this show is bound to get your child’s creative juices flowing. 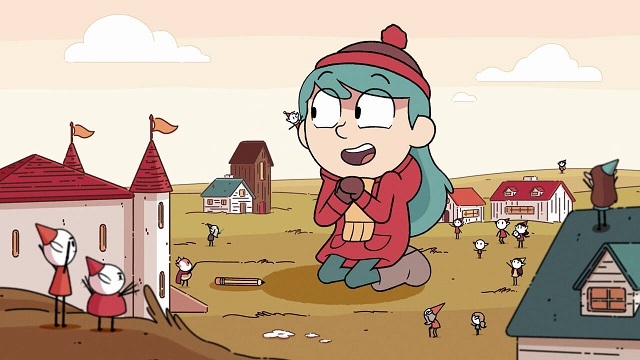 Don’t let the visuals distract you – underneath Hilda’s charming animation is a show with extensive world-building and character development, particularly in the form of mythical creatures and Hilda’s adventures with them. If your children don’t recognise the creativity behind the show, you certainly will. There’s currently thirteen episodes available to stream, with more to likely come in the near future. What are you waiting for? This Netflix original series adapts the premise of the ever-popular Captain Underpants children’s book series into a crafty, binge-able series. The story follows two mischievous elementary school students named George Beard and Harold Hutchins and depicts the consequences of their actions after they hypnotise their cruel principal to become the vigilante ‘Captain Underpants’ – a superhero who sports nothing but his underwear and a cape. The cartoon visuals provide relief from the unsettling reality of this premise, making it particularly humorous for younger children. Adults can get a kick out of this story too, with the occasional more mature jokes that the young ones won’t pick up. There’s currently thirteen episodes to watch with your children, but don’t fret – with a whopping 26 novels to base the story on, there’s likely plenty of source material yet to be adapted. A recent modern classic, Brooklyn Nine-Nine is a sitcom sure to keep your family (and even yourself) entertained. Following the adventures of a group of detectives in New York’s police department, a well-crafted storyline and widely applicable and appreciative jokes are bound to keep your family laughing. The cast ranges in diversity and personality, shining light on many groups of people and casting positive messages to its audience in the most humorous manner possible. With characters you actually grow to care about as you watch the show, there’s no reason not to share the joy of the 99th precinct with your family. If you needed another push to convince yourself to give it a go, feel safe with the knowledge that it is inspired by cult-classics including The Office and Parks and Recreation, two lovable shows yet to grace Netflix Australia’s screens (however those are available on Stan). A glimpse of the typical humour of B99. With 5 seasons of content readily available to stream, you definitely won’t be running out of episodes with this one. This is a series following the character of Eleanor Shellstrop as she journeys through the show’s interpretation of life after death (Which coincidentally looks a lot like Earth). 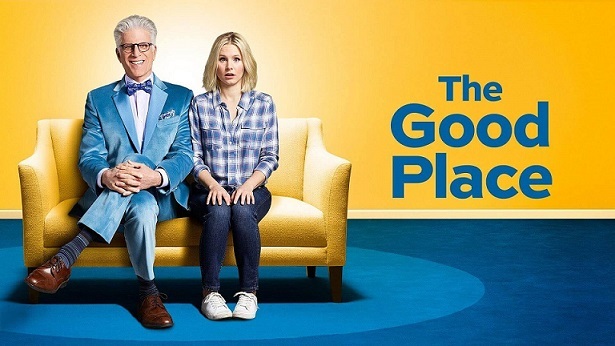 Somehow being allowed into the exclusive ‘Good Place’ despite not being a good person throughout her life, Eleanor strives to drop her old, selfish habits to function amongst this land of good Samaritans – and to avoid going to the ‘Bad Place’, where she actually belongs. Of course, this is easier said than done, often resulting in a variety of shenanigans for Eleanor to overcome due to her arrogance and selfish nature. This show is perfect for your family as it teaches the value of being a good person and having respectable morals, while also retaining a unique sense of humour that not many other shows we’ve seen utilise. There are currently three seasons available to watch and if your kids are hooked, they’ll be bound to get through the episodes quickly. The Adventures of Merlin follows the historically renowned folktale everyone knows – King Arthur and the Wizard Merlin’s adventures in the kingdom of Camelot. 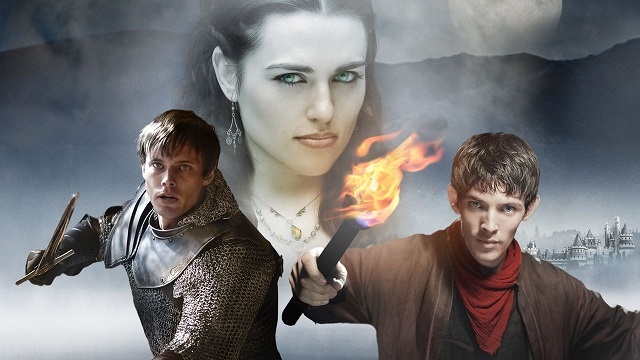 A unique twist turns this tale on its toes for a modern audience: in this version of Camelot, Arthur is still a prince and Merlin is his servant learning magic on the side. What makes things more intriguing? In this world, practicing magic is a crime punishable by death. Merlin’s adventures through Camelot provide entertainment for the whole family, outlining the journeys and moral decisions he must make in order to protect the yet-to-be king while maintaining the peace in Camelot AND hiding his secret from the world. This is all coupled with humour and light-hearted characters, making it family-friendly. The show ended a few years ago, but with a lofty 5 seasons worth of content there’s no reason to say no. Hop on over to your nearest couch and grab your kids and teenagers – magic is abound in the household. And there you have it! Six shows to stream with your family that are entertaining for both your children AND you (because you deserve it)! And what’s better? With our Home Wireless Broadband service, you can now treat your family to more data than ever before – meaning you can binge and stream your way up to 250GB per month! Have a look at our options at yomojo.com.au/wireless for more details – and happy streaming!